Bodie and Doyle need little by way of introduction, but if the series had at all escaped you since its debut in 1977 their boss George Cowley, head of CI5, couldn't put it more succinctly than his opening gambit: "anarchy, acts of terror, crimes against the public. To combat it I've got special men – experts from the army, the police, from every service. 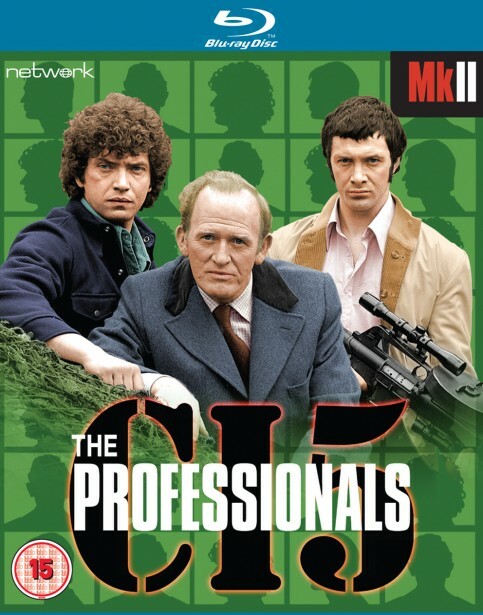 These are The Professionals". Featuring the perfect ensemble cast of Martin Shaw, Gordon Jackson (completely against type here) and the much-missed Lewis Collins, the series ran for 57 action-packed episodes and made an immediate impact on British and then international audiences which has sustained 40 years. But the series has never looked this good. Painstakingly restored from the camera-original negatives, the series could have been made yesterday. No matter how many times you have seen The Professionals, this is a new experience, like seeing it for the first time.